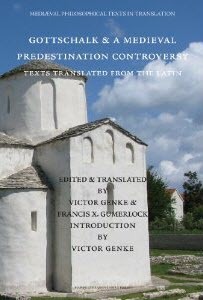 Victor Genke and I have been translating into English the Latin writings of Gottschalk of Orbais, a ninth-century monk whose teachings on divine predestination started a major controversy in the Carolingian church. Gottschalk & A Medieval Predestination Controversy: Texts Translated from the Latin is now available. The table of contents is available in PDF.